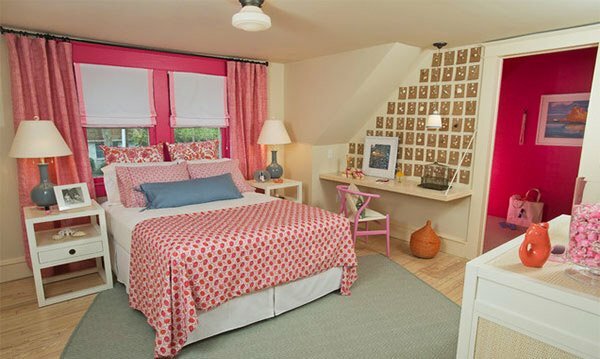 It won’t harm if you get a bedroom that is totally girly. 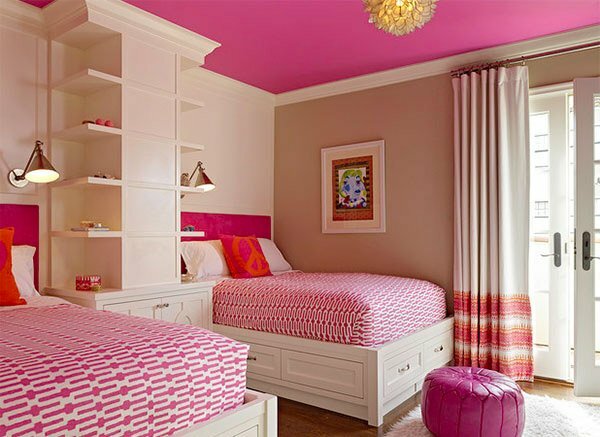 Once you think of a girly bedroom, the color that first comes to your mind would be pink. Pink is most of the time associated with females because of its delicate appeal. But it also come in a variety of shades wherein each one has a different appeal just how strong and chic a hot pink color is. 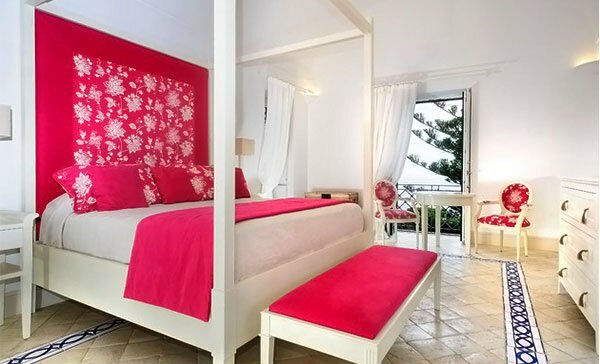 We have collated some bedrooms with hot pink colors in it. It can either be in the bed covers, walls, accent furniture, and other elements in the bedroom. As we were searching for these items, we sure had fun especially that the bedrooms we found were indeed lovely. You will also see that aside from the hot pink in it, it is combined with other stunning colors too. Now, scroll down and check out our round-up of hot pink bedrooms. White and hot pink is a perfect combination even for the floral pattern. Hot pink walls and area rug enhanced the look of this bedroom. The colors in it sure are lovely and trendy too. A cozy window seat provides a quiet place for the teenage girl. Pink walls with white floral decors are just one feature of this bedroom that looks great. The bed is also a gem especially the KTH Medallion pillows. The curtains and all the other stuffs in this bedroom have pink touch in it. We like the wall decors and the mannequins on the side. Gray and white is the primary color of this space but adding a hot pink wall accent sure made a huge difference to it. Pink ceiling and headboards was enough to give this bedroom that chic touch. 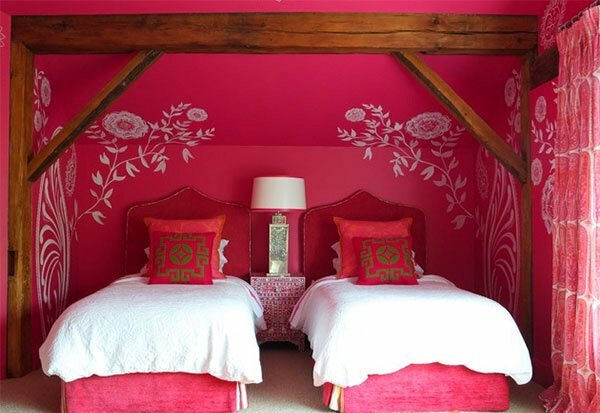 One look of this bedroom will make you think that princesses occupy this hot pink bedroom! This bed has lovely stripes and it looked even better with the hot pink headboard. Take a look at the cabinets on the side. They sure are nice! Patterns on one side of the wall paired with plain pink wall is a total stunner! Note the different throw pillow covers on the bed. The Ikea light fixture is a dramatic accent to this bedroom. These antique frames on the wall are beautiful! 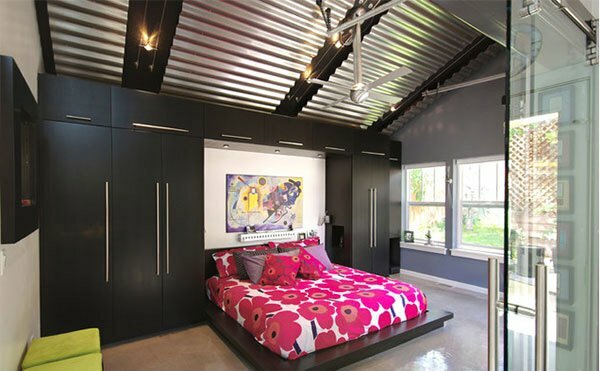 An industrial bedroom in black has a masculine appearance if there isn’t a hot pink floral bed cover. Hot pink bed titivated with throw pillows of varying prints and a beautiful white duvet cover. One wall was creatively done with glass blocks and yes, it does have hot pink colors on the wall and pillows too. One area of the bedroom showing a hot pink fit for a little lady. The pendant light and the curtains sure are stunning! Bold colors are seen in this bedroom. So many colors are seen here but the hot pink covers for the bed, pillows and the chairs stand out! Are you a hot pink color lover? If so, you will surely love this list! Have you picked your favorite bedroom? Well, we love the last one because it has lots of colors in it while still giving highlight to the hot pink hue. This list seems to revive the teenage girl in anyone who would see it! 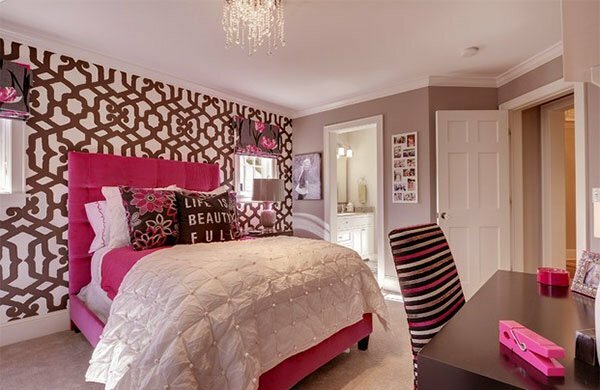 Aside from a hot pink bedroom, a heart themed bedroom will also be great for a teenage girl!